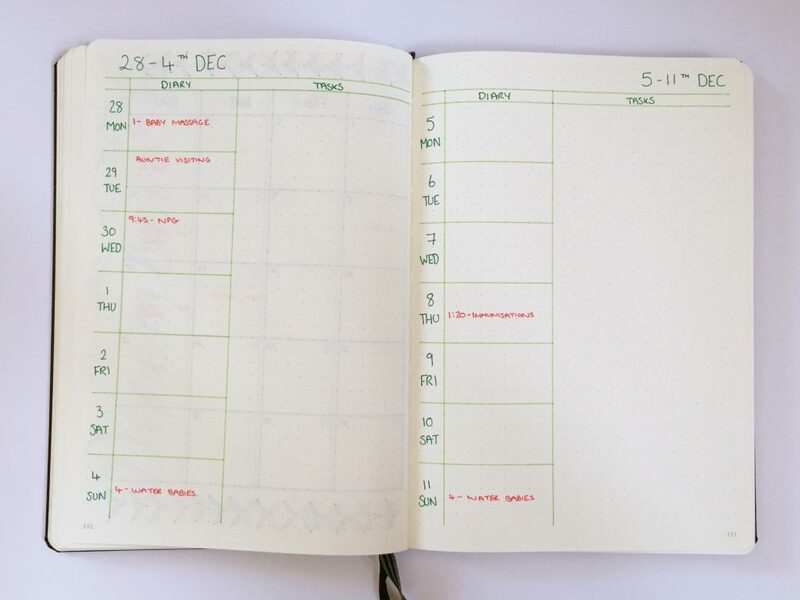 For December’s Bullet Journal setup I am keeping it really simple as it’s a busy month anyway without having a 2-3 month old baby. 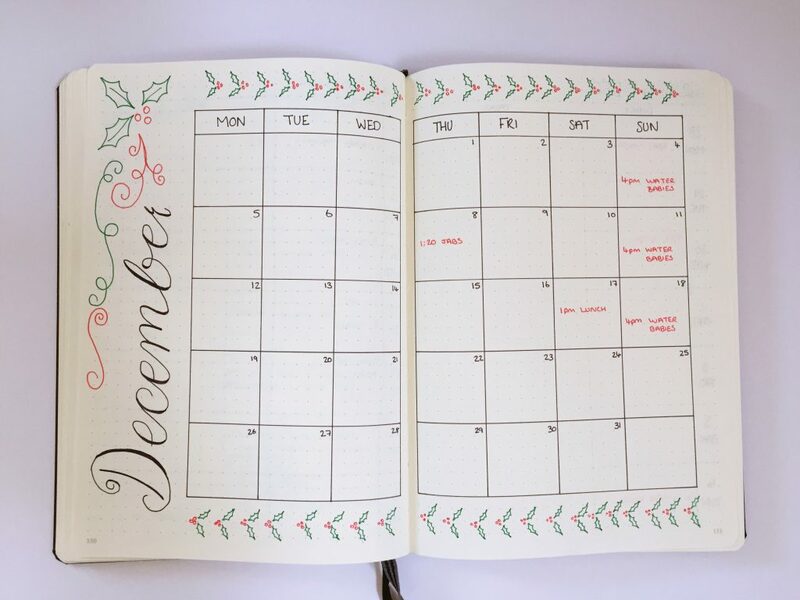 I’ve cut back on my usual monthly spreads and have added some Christmas spreads instead to help keep me organised. For December I’ve removed the blog tracker and just included the calendar view of the month. I’ve also decorated it a bit more because it’s Christmas, so why not. My weekly spreads this month are simple again. I’ve made one large tasks column because I found that I was repeatedly shifting tasks from Monday to Tuesday all the way to the weekend, and then my weekend boxes weren’t big enough. So instead I’m going to use a weekly tasks list and put a star against anything that is really important. I can also use this section for notes too. I have 4 Christmas spreads that I’m going to use this year. The first two are Christmas cards and presents trackers. On the card tracker I can see who I’ve bought for and whether I’ve written it and then posted it. Similarly the present tracker has the name of the recipient, what I plan on buying, the price, whether I’ve bought it and then if it’s wrapped or not. I used little icons as it took up less space than writing. 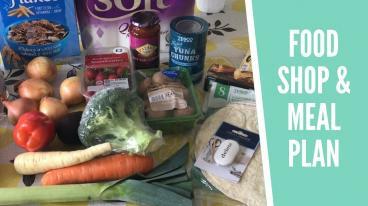 The next spread is for mine and Eleanor’s present wishlist. Everyone always asks me what I want for Christmas and I expect they’ll ask me what Eleanor wants too. She’ll be 3 months old by then, I’m sure she doesn’t really want anything apart from cuddles. But if you have any ideas for presents please comment below! 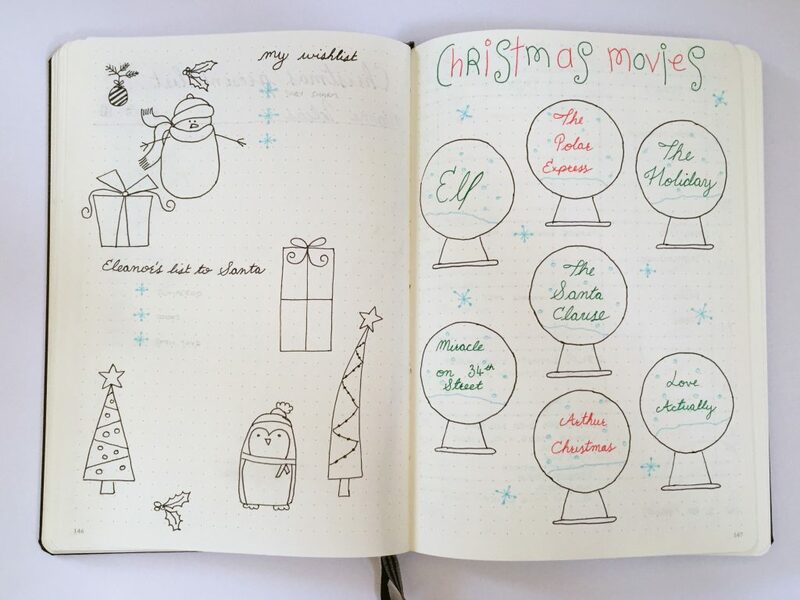 My final spread is all the Christmas movies I want to watch this year. I’ve watched all but 2 of them before and the only reason Home Alone isn’t on there is because I’ve watched it already this year. I’m going to colour in the snow in the snowglobes when I’ve ticked one off my list. 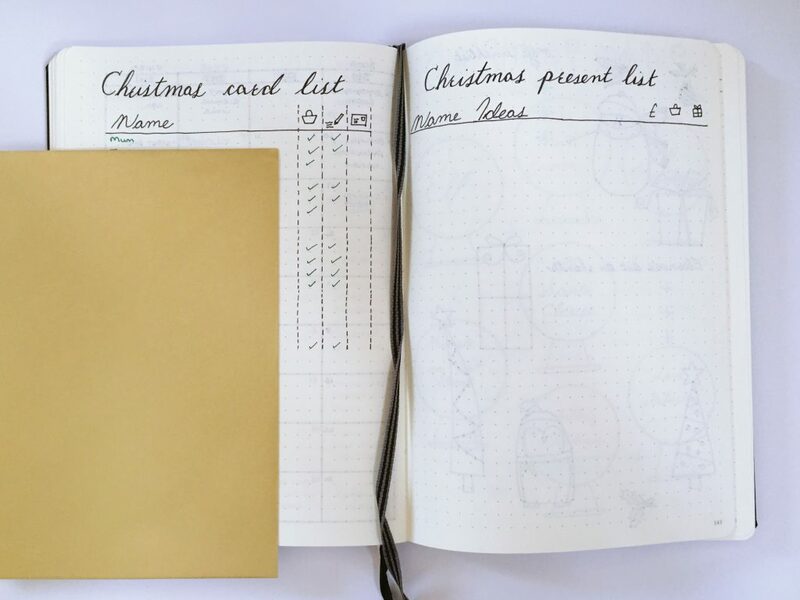 What Christmas planning will you be doing this year? I was quiet tempted to do a Christmas dinner meal plan page but I think my mother in law is taking over the food at my house so I don’t need to worry.